Keith Urban’s special guest for his headline show! The current CMA Entertainer of the Year plays a special GRAFFITI U pre-tour club show! WHERE: O2 Forum Kentish Town (9 - 17 Highgate RD, NW5 1JY MAP) is a 2300 capacity theatre-style live music venue in Kentish Town, North London (Website | Travel) . STALLS STANDING £56.30 (£48.50) | BALCONY UNRESERVED SEATS £56.30 (£48.50). 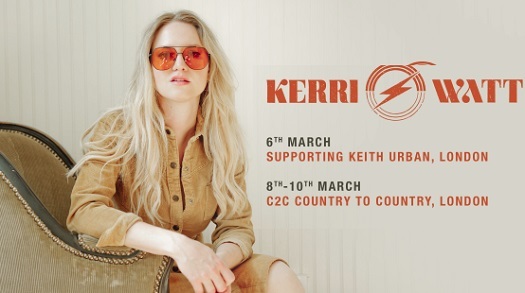 Kerri will return to the C2C Festival performing with her full live band! She will play the Big Entrance (Sat 9 March 2019; 15:10-15:40) & Town Square (Sun 10 March 2019; 10:30-11:00). Kerri Watts’ Celtic roots are embedded in the streets of Glasgow where poets grow and strong hearts rule. places such as Whisky a Go Go in L.A., The Basement in Nashville and NYC’s Rockwood Music Hall. Kerri fell in love with America and its music. Kerri’s love of travel, nature and adventure didn’t stop in the USA. An adventitious meeting with a music executive in Ibiza saw her returning to the UK to record. Her incredible pure, emotive but powerful voice and pop sensibility soon found her playlisted twice on BBC Radio 2, singles Long Way Home (released July 2015) and The Wild (released March 2016). 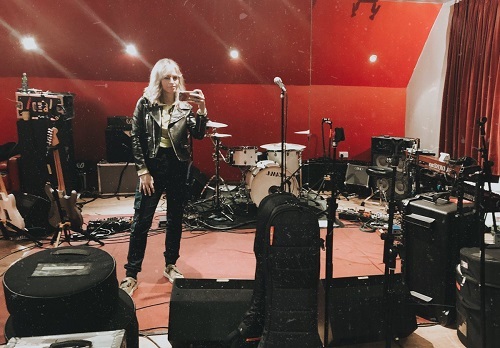 It wasn’t long before live sessions and numerous TV appearances were booked in with ITV, STV and the BBC, and people began to pay real attention to Kerri. Her music hinted at the wide open spaces of her American experiences, yet were carefully crafted pop tunes. Kerri’s collaboration with producer Oliver Nelson on the summer mix of You racked up over a million plays and achieved a number one on Hype Machine with rave reviews. Back full circle in Nashville Kerri wrote and recording new material with multi-award winning and chart topping songwriter, producer and publisher Jeff Cohen (co-writer of The Shires, Ward Thomas) along with 3 time Grammy nominee Kevin Kadish – the writer and producer behind Meghan Trainor’s ‘All About That Bass’, before embarking on her first headline UK tour in the fall of 2017. BBC Radio 2 A-­listed singer songwriter Kerri Watt announced her first ever headline tour, with 14-­dates across the UK in November 2017. Kerri’s single ‘Old School Love’, released in July 2017, was first for her new label East West Records (Warners). The single marked a slight change from her previous two singles, the BBC Radio 2 play listed ‘Long Way Home’ and ‘The Wild’. On Aug 24, 2018 Kerri released a collab ‘Never’ with Embrace which saw her perform live on various radio and tv spots and support COLDPLAY at the Millennium Stadium to over 140,000 people over just two days. 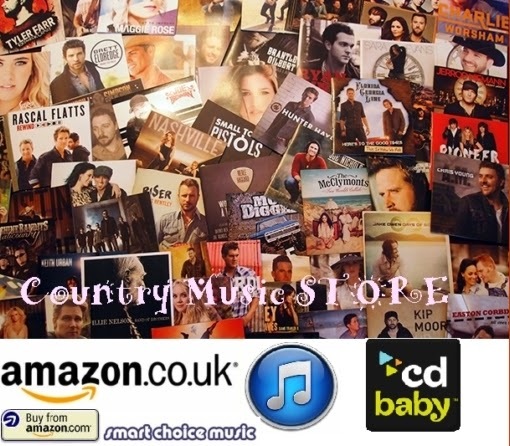 She performed 4 times at the C2C Country To Country Festival in March 2018 playing the Big Entrance Stage (Sat & Sun March 10 & 11), CLUB WM-Water Margin & Busking Stage. After signing a recording and publishing deal with Cooking Vinyl, on Jan 23, 2019, Kerri is excited to be back playing at C2C, performing with her full live band. 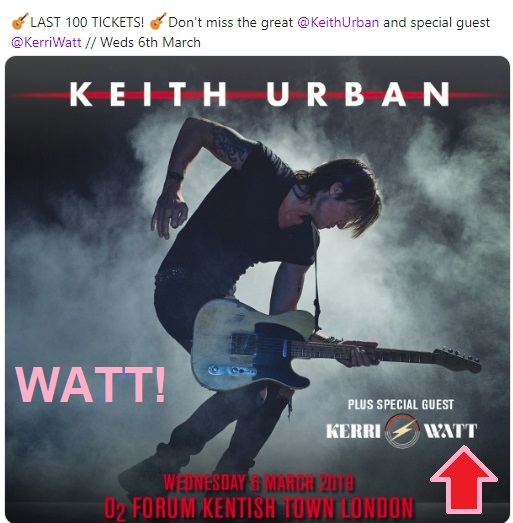 In recent exciting news she will be Keith Urban’s special guest when he plays his headline show at London’s O2 Forum at Kentish Town on Wednesday 6 March!